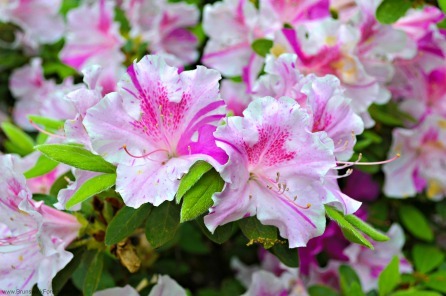 Celebrate Spring in the South all week long with the 71st Annual North Carolina Azalea Festival! 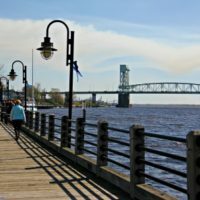 Taking over the city of Wilmington, this annual community celebration is the largest festival of it’s kind in the state and has become the premier event for locals and visitors alike. 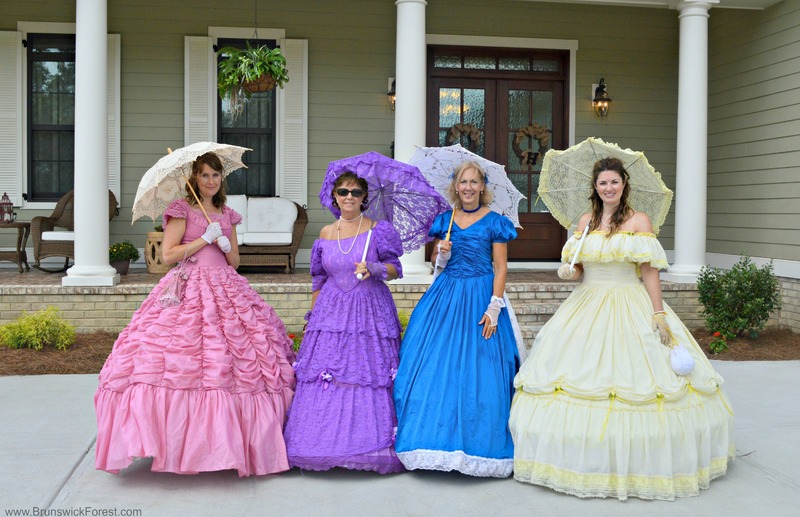 Founded in 1948, the Azalea Festival features over 50 events ranging from concerts to art shows, fairs, home and garden tours, a parade, special exhibits, a circus, and a variety of other entertainment and events throughout the week of April 11-15th. With over 300,000 people visiting Wilmington for the festival annually, there is no shortage of things to do around town this week. More than 200,000 people are estimated to attend the annual two-day Street Fair, while more than 100,000 gather to watch the Festival Parade. 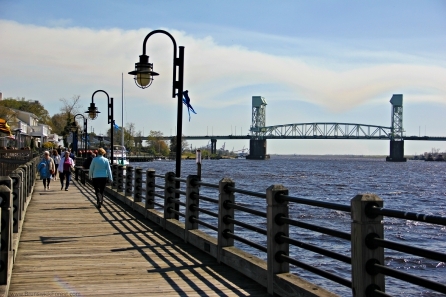 The festival aims to encourage volunteerism and civic participation as it contributes to the region’s economy and promotes the unique qualities of Wilmington’s river-to-the-sea community. Dating back to 1935, Dr. Houston Moore held the vision for what is now the North Carolina Azalea Festival. A decade after transforming swampy Greenfield Lake into a beautifully landscaped park, the grounds finally started to show signs of Spring with flowers bursting into bloom. This blossoming of the season sparked Dr. Moore’s idea to create a festival around the blooming of these flowers and thus – The Azalea Festival was born! In it’s first year, the festival drew over 60,000 spectators and the first Queen Azalea was crowned. Jumping ahead 70 years, we’re celebrating the 2018 Azalea Festival in style with a range of events to choose from. We’ve broken down a few of the most popular events below, but make sure you head to the Azalea Festival’s official website for a full list of events happening around town. 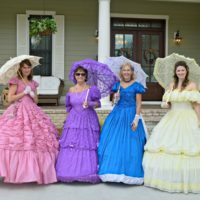 Hosted by the Cape Fear Garden Club, the 65th Annual Garden Tour is one of the premier Azalea Festival events. This tour is one of the longest running and most popular garden tours in the south. This three-day tour will begin on Friday, April 13th at Greenfield Park Amphitheater with the Ribbon Cutting Ceremony that will feature pre-show live music, the parade of the 2018 Azalea Belles as well as the introduction of the North Carolina Azalea Festival Queen and her Court. Following the opening ceremony, this three-day event will feature several local gardens offering tours throughout the weekend. A portion of the proceeds will benefit Cape Fear Garden Club’s grant program for beautification, conservation and education in New Hanover County. This year, the Azalea Festival is featuring a diverse line-up of musical artists performing throughout the week and into the weekend. Kicking off the musical performances on Thursday evening will be country artist, Billy Currington with Drake White and Kenton Bryant. Hitting the stage on Friday night, 38 Special and Tuesday’s Gone will rock us into the weekend. Saturday night’s show will feature hip hop legend Ludacris with Childish Major. For a full list of live entertainment, check out the full music lover events page. Presented by Walls Fargo, the 2018 Waterfront Street Fair in downtown Wilmington will be a weekend long event and has plenty of entertainment, shopping opportunities and food options for the entire family. The fair will feature over 250 vendors showing and selling goods from handmade crafts to fine commercial products. Food vendors will create the traditional fair favorites while also featuring vendor-prepared specialty items. For a full list of information, check out the Street Fair event page. Beginning at 9am on Saturday and spanning through the middle of downtown Wilmington, the Parade draws a crowd of more than 100,000 people and has become the centerpiece to the Azalea Festival. The parade will last until about noon and will be broadcast live on GTV8 or by streaming live. For more Parade info, check out the official event page. You can also find a map of the parade here. 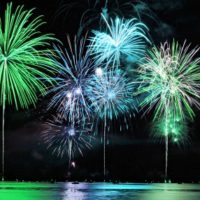 Be sure to get downtown early on Saturday evening to ensure your spot for the annual Fireworks display over the Cape Fear River! 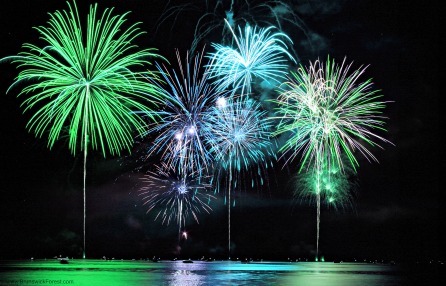 This festival favorite will begin at 9:00pm and will last about half an hour.